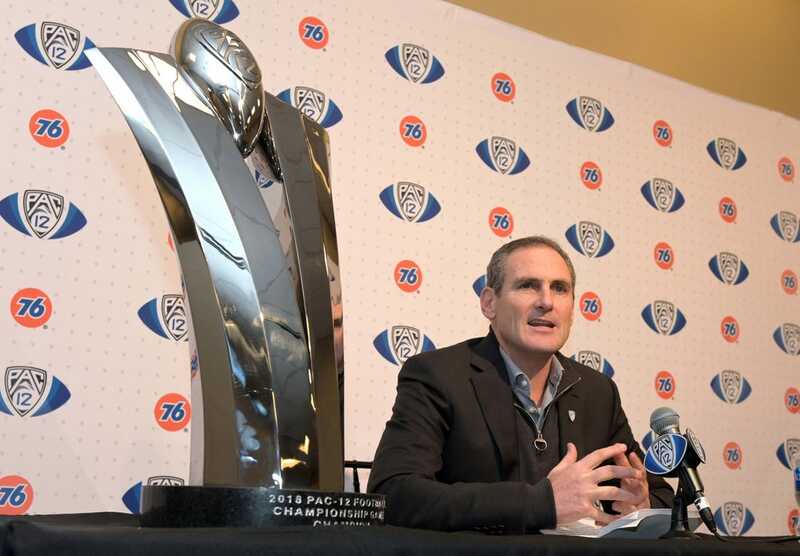 Three former Pac-12 football officials blasted conference commissioner Larry Scott and other conference leaders in a letter published Thursday. The retired officials -- Mack Gilchrist, Charles Czubin and Fred Gallagher -- outlined a list of grievances including the conference's replay review process, assignments for bowl games, a lack of accountability on the part of administrators, and communications breakdowns between the league and its officials. "We do not appreciate the direction this Conference is headed under your direction by disgracing its long and respected heritage," they wrote to Scott in a letter published by the San Jose Mercury News. "... We as retirees, of what was once a quality and elite Officiating program that has now become the laughing stock of the power 5 Conferences and throughout the entire nation, are asking for necessary changes in a positive manner." The Pac-12 hired a consulting firm last month to conduct an independent review of its officiating program, the Mercury News reported. Conference officials did not comment on the letter. Gilchrist, Czubin and Gallagher combined for more than 100 years of experience as Pac-12 officials. Gilchrist retired following the 2017 season, while the other two officials told the Mercury News that they "were retired" after the 2018 campaign.